Purchasing health insurance is a huge financial decision. It is, therefore, important to understand the fine print of the document before signing on the dotted line. Read the terms and conditions carefully as it has a lot to say with respect to the benefits and coverage you are eligible to receive. Following is a guide explaining nine common terms associated with health insurance policy. This refers to how much money the insurer will approve for occupancy of the hospital room. This cost is included in ‘reasonable charges’. It means that if any overhead is exorbitantly charged, the insurer does not pay for it. For this reason, insurers do not cover the entire amount for hospital room charges. Generally, 1-2% of the sum assured is paid towards room rent. If the actual room charges exceed this amount, the policyholder will have to shell out the excess amount. Insured individuals sometimes opt for a plan wherein they have to make a certain payment each time they access a medical service. Copayment, also known as copay, is a fixed percentile of the total cost, which the policyholder has to pay. For example, if your plan has a copay of 20%, you will have to shell out 20% with every claim you make. Generally, copayment rates are higher for senior citizens and those suffering from pre-existing diseases. Pre-existing diseases are those diseases which the policyholder is being treated for prior to the enrollment of the healthcare plan. Many insurance companies reject claims with respect to pre-existing diseases. This is because; such individuals are more likely to undergo treatments for the same, thereby increasing the insurer’s liability to pay the hospital bills. AYUSH stands for Ayurveda, Yoga and Naturopathy, Unani, Siddha, and Homoeopathy. Many individuals these days are opting for such alternative treatment options. It is believed that these non-medical treatments are highly effective and powerful. The Government of India has exclusively set up the Department of AYUSH to ensure development and propagation of AYUSH systems in India. Expenses are generally reimbursed when the insured is hospitalized for a period greater than 24 hours. However, due to advancement in technology, some procedures may merely take a few hours, which would otherwise have required hospitalization of 24 hours or more. These treatments are known as day care treatments. The scope of day care treatments varies from insurer to insurer. Generally, day care treatments include cataract operation, chemotherapy, dialysis, radiation, besides others. 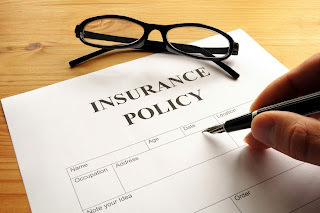 Those individuals who do not make any claims during the entire policy term are awarded a certain discount on premium by the insurance company. This discount is known as No Claim Bonus (NCB). Plan holders may avail of NCB on the next renewal of their policy. Health insurance plans these days come in many variants and numerous benefits. Insurance companies are now offering the benefit of restore and recharge to their customers. Under the restore benefit, if the sum assured gets depleted towards the treatment of a particular illness, insurers restore the sum insured. It is important to note that this benefit is applicable only for future claims made towards an unrelated illness. The recharge benefit is similar to that of restore benefit but with different conditions. According to the recharge/refill condition, the insurer reinstates the sum insured for the year once the NCB and the sum assured are exhausted by the policyholder for that particular year. Top-up healthcare plans offer an additional coverage over the existing threshold limit or maximum limit known as a top up. Such plans are highly beneficial when the threshold of the existing plan is used up and there is an additional medical cost to deal with. It is important to note that top up benefit may be used if the claim amount is above the threshold for a single hospitalization. There may be times when the threshold limit gets exhausted during multiple instances of hospitalization. During such times, a super top-up benefit comes to the rescue. Such a benefit takes into consideration the total bills and not just a single instance. Those suffering from life-threatening conditions may avail of critical illness insurance, also known as dread disease policy. Holders of this policy are eligible to receive a lump sum amount from the insurance provider. This benefit, known as critical illness benefit, is provided only if the insured is diagnosed with an illness mentioned in the predetermined list of the policy document. It is imperative to have adequate knowledge about healthcare plans before purchasing one. Read through the policy-related jargons thoroughly and avail of a plan that offers the best benefits based on your health requirements. Compare lenders in the market and opt for the best health insurance that is cost-effective and highly beneficial at the same time.